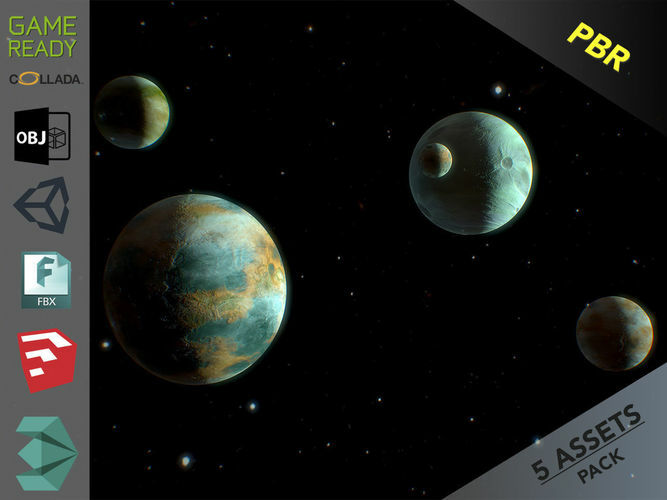 Planets Pack 3D models ready for Virtual Reality (VR), Augmented Reality (AR), games, Postproduction, Photomanipulation and other real-time apps. Materials - Textures in 3DS Max & Sketchup included. Models already preloaded in lumion 6, just copy and paste on your computer or import it from the included scene.